Citation: Chiwaula CH, Chinkhata M, Kamera H, Haruzivishe C (2018) Evidence Based Practice: A Concept Analysis. 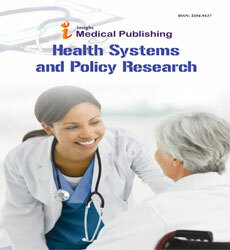 Health Syst Policy Res Vol. 5 No.3: 75. Copyright: © 2018 Chiwaula CH, et al. This is an open-access article distributed under the terms of the Creative Commons Attribution License, which permits unrestricted use, distribution, and reproduction in any medium, provided the original author and source are credited. The merits of evidence based practice (EBP) in nursing care practice cannot be underscored and has the potential to improve quality of care and produce desired benefits for patients, nurses and midwives, and the health-care system. The purpose of this concept analysis was to clarify the concept of EBP to achieve a better understanding of the concept among nurses in relation to nursing care delivery and drive them to embark on EBP journey. Walker and Avant’s strategic method of concept analysis was used to analyze the concept. The framework comprised of eight steps: selecting a concept; determining the aims or purpose of analysis; identification of all uses of the concept; determining the defining attributes; constructing a model case; constructing borderline, related, contrary cases; identifying antecedents and consequences; and defining empirical referents. The operational definition of EBP according to this analysis, “EBP is a problem solving approach which involves nurse practitioners asking clinical relevant questions, accessing evidence from research and contextual factors, interpreting the evidence (appraising and synthesizing), combining the evidence with experiences of practitioner, patients or target group, and applying what has been learned from evidence in making decisions to improve nursing care practice. EBP comprises of the following attributes: asking a relevant clinical question, use of best current research evidence; integrating with practitioner expertise and experiences; patient preferences, values and concerns; and applying the evidence in making nursing care decisions. Antecedents of EBP are availability of: gap in nursing care practice; evidence and necessary resources; nurses with necessary knowledge, skills, and confidence on EBP; and supportive leaders. This will eventually lead to anticipated consequences like: safe, effective, cost-effective, quality care which can lead to desired patient outcomes. In conclusion, this analysis has clarified the definition, the approach to EBP and further studies are needed to test of the process of EBP guided by the identified attribute to reduce the research-practice gap. In recent years, the emphasis has been on delivery of evidence based practice (EBP), to direct improvement in clinical nursing care decisions and improves patient outcomes. Yet there is low implementation of EBP. Most nursing care decisions and actions are not evidence based, they are mostly derived from: work experience, information from nurse’s observations and colleagues, guidance from experts, basic and post-graduate education, rather than formal sources of evidence based knowledge like information from scientific articles or research studies [1-3]. Low implementation of EBP among nurses and midwives is a huge problem in many places worldwide: In the United States 65.5% of the nurses could not consistently implement EBP in treating patients; in Norway nurses practice EBP to a lesser extent and most nurses rarely utilized research evidence in care provision; in Iran research evidence is also not applied in nursing practice [1,2,4-7]. Similarly in Africa, EBP implementation is very low: In Ethiopia only 15.7% of the nurses use research evidence in clinical practice; in Kenya, 92% of the nurses do not fully utilize research evidence when providing nursing and midwifery care [8,9]. In Malawi, available literature indicates low implementation of EBP. There is poor utilization of research findings in decision making in health and nursing practice, policy formulation and programs [10-12]. The concept of EBP was chosen for analysis because EBP is a priority agenda in nursing care delivery and EBP is considered the most effective strategy that can lead to improvement of clinical and patient outcomes. Through implementation of EBP patients are expected to receive the most effective care based on the best available research evidence . In addition, nursing care is provided in an environment which is changing daily which necessitates application of research evidence to discard in effective practices. As such, the purpose of this concept analysis was to achieve a better understanding of the EBP concept among nurses. Specifically, the analysis was meant to: provide a precise operational definition for EBP in nursing care delivery; determine the defining attributes for EBP; construct model; borderline, related, contrary cases; identify antecedents and consequences; and define empirical referents for EBP. Walker and Avant’s eight step concept analysis method was used. These steps involved selecting a concept; determining the aims or purpose of analysis; identification of all uses of the concept; determining the defining attributes; constructing a model case; constructing borderline, related, contrary, cases; identifying antecedents and consequences; and defining empirical referents . Literature was sought from dictionaries, PubMed, Google, Google scholar and Hinari using the search terms: Concept Analysis, Evidence Based Practice (EBP), Evidence Based Decision Making (EBDM), Evidence Informed Decision Making (EIDM), methods of Concept Analysis. Articles containing information related to the search terms from 2005 to 2018 were accessed and analyzed. The research articles, books, web pages and dictionaries in English language, in nursing and other health related fields were analyzed. Sixty six (66) articles were accessed and 30 articles did specifically discuss EBP and were discarded. Thirty six articles were considered relevant for analysis and were used. They comprised twenty two research articles, five eBooks, seven web pages and two dictionaries. EBP has three distinct words with different connotations: “evidence”, “based” and “practice”. Evidence is defined as facts, information and knowledge which has been proved, believed or justified as true . Evidence is also seen as data on which a decision or a conclusion can be based . Basing on these definitions alone does not give true picture of evidence, because these definitions overlook other factors which rate a claim or a fact or the data or the information to be true evidence, especially evidence that can be used in health or nursing care practice. For facts to qualify as true evidence which can be used in clinical decision making in health or nursing care setting, the definitions should comprised the information on the methods of evidence generation and how it was rated as true evidence. For instance, evidence from well-designed studies, well executed systematic reviews, meta-analyses research studies with appropriate controls or comparison groups are considered true evidence [17,18]. Research evidence or facts are justified as true if the evidence for health and nursing care decisions is generated through the above methods before being used in decision making. The word “based” on the other hand, means a foundation. In case of EBP delivery, it means that evidence should be used as the foundation or the center of all nursing operations. In contrast, a “practice” is defined as the act of doing . In EBP delivery, practice entails the act of performing evidence based nursing actions. To sum up, EBP definitions were examined. Newhouse and Dearholt defined EBP as “a problem-solving approach to clinical decision making that combine research evidence with experiential evidence, practitioner and patient’s experiences”. This definition comprises of five key components: problem solving; evidence; practitioner experiences; patients experiences and decision making. Newhouse et al further defined EBP as “a problem solving approach to clinical decision making in a healthcare organization that integrates the best available scientific evidence with the best available experiential (patient and practitioner) evidence, considering internal and external influences on practice, and encourages critical thinking in the judicious application of such evidence to care of the individual patient, patient population, or system” . In this definition, the scope of EBP was broadened and it included factors influencing implementation of EBP and practitioners’ capacity to think and apply EBP. Hmurovich also, defined EBP as a practice of making decisions about health care action, program, practice, intervention or a policy based on best research evidence, experiential evidence from clinical practice and contextual evidence . This definition further acknowledges contextual contributors to EBP implementation. Melnyk et al., gave a broad definition of EBP; It was defined as “a paradigm and life-long problem solving approach to clinical decision-making that involves the conscientious use of the best available evidence, including a systematic search for and critical appraisal of the most relevant evidence to answer a clinical question, with one’s own clinical expertise and patient values and preferences with the aim of improving outcomes for individuals, groups, communities and systems” [22,23]. In addition to the key components identified by Newhouse et al, this definition adds three important elements like: lifelong approach, process of evidence identification (appraise of literature), and availability of a clinical question, this also offers more guidance on the process. Therefore, after critically analyzing EBP definition the operation definition of EBP is “a problem solving approach where the practitioners need to ask a clinical question, then gather/access evidence (from research, contextual factors), interpret evidence (appraising and synthesizing), combines evidence with experiences (of practitioner and target group), and applying what has been learned from evidence in making nursing care decisions. Literature also presents two related concepts to EBP: EIDM and EBDM. EIDM is defined as a process of gathering and sharing information on what works from research, work setting and experience to inform and improve care provision decision . This shows that EIDM is only concerned with sharing evidence, best practices and experiences and misses out two important components in EBP like: use of clinical expertise in decision making and integration with patients’ desires. As such EBP and EIDM are different. EBDM on the other hand is defined as the process of using best scientific evidence integrated with the clinician’s experience and judgment, the patient’s concerns, values and desires when making patient care decisions . This definition has similar elements presented in the EBP definition like: best research evidence, clinician’s expertise and a patient’s expectations, preferences and values. Critically analyzing how EBP and EBDM concepts have been used in literature, the concepts appear similar and inseparable. EBDM has been used as standalone concept or subsumed under EBP. In most research studies and articles, EBDM is discussed interchangeable with the EBP. Mostly it has been used within the definition of EBP. For instance, the study by Stevens found that the frameworks that guide the design and implementation of EBP approaches strengthen the EBDM process . It was argued that in order to instill the culture of EBP in Education, there was need to use EBDM approach . EBDM has also been described as an approach of EBP, while another study used both concepts and found nurses had positive attitude towards EBP, but could not implement EBDM [24,27]. Forest and Miller discussed EBDM as a stand-alone concept through conducting a study of translating EBDM into practice, but critically analyzing the article, EBP is mentioned as a supporting concept . In conclusion, critically reviewing the ideas in EBP and EBDM definitions, it can be concluded that their scope appears to be the same. For instance, dominant to these definitions are the following concepts: ‘use of best research evidence’, integration with ‘clinical expertise/ experiences’ and inclusion of patient’s preferences and values’. The way EBP and EBDM have been presented in literature they appear similar and hence often used interchangeably. This analysis clearly shows that these are two different concepts though related. Attributes are components and key features that differentiate and clarify the meaning of one concept from another similar concept . Following the analysis of literature, five main attributes were identified to characterize EBP: availability of a clinical question; use of best current research evidence; practitioner expertise and experiences; patient preferences, values and concerns and application of evidence. As seen in literature EBP requires full integration of the five components into clinical decisions to enhance patient safety, quality of life and optimal patient’s outcomes . This suggests that for nurses as providers of nursing care to provide EBP they need to possess complex level of thinking or understanding in order to ask a clinical question; read critique and select the best research evidence for decision making . They also need to correctly isolate relevant contextual issues that influence utilization of research evidence when making nursing care decisions and plan of care. In addition, decision making requires possession of necessary expertise and experiences. Clinical expertise refers to the integration of accumulated knowledge, care experiences; information from education and clinical skills in making care decisions . Incorporating patient Preferences in care decision entails using patient-centered approach where patients views, onions, values, beliefs, priorities, expectations are included in decision-making process . All these will help the nurse to produce a plan of care that enlist commitment from the practitioner and that is best to patients and family interest; this facilitates patients’ adherence for optimal recovery. A model case is developed to represent a real life example of use of the concept that includes all the critical attributes of the concept . Agatha is a medical-surgical nursing nurse specialist and the in charge of male medical ward. There are 15 nurses taking care of 56 patients with various medical diagnoses and there are four nurses per shift always. Nurses organize their work in response to the urgency of the task at hand and nursing routines and patients were rarely included in planning of their care. On each shift the head nurse of the day assigns specific tasks to each nurse to be performed for all patients and report to the head nurse after completing the tasks. For example, a nurse is assigned to administer medication, take specimens, order drugs and supplies, bath patients, feed patients, take vital signs, conduct ward rounds with physicians or discharge patients etc. One day during matron’s ward rounds guardians complained that their patients were not examined thoroughly by nurses, nurses do not have time to be with patients and listen to their complaints and some nurses are not approachable. This was confirmed by reviewing what nurses had documented on the care of the patients: only tasks done were documented and documentations relating to the nursing process were not done (the assessment, nursing diagnosis, holistic implementation of nursing actions, and the evaluation of the care given). After the matrons round, Agatha gathered her colleagues to discuss about problem and to conduct a critical analysis of the current nursing delivery in the wards (the task oriented approach). It was found that the task oriented approach to nursing care delivery they were using lead to: Impersonal relationship with their patients such that nurse-patient relationship did not flourish; fragmented and poor management of patients which resulted in delayed recovery of patients. It also limits the professional growth of the nurses since the nurse only performed one task, which limits a holistic application of theory to practice. It was agreed that there was a need to change the approach to nursing care delivery. Then three nurses: Yankho, Julia and Hana who were well versed and skillful in initiation of change were tasked to lead the process of change to improve delivery of nursing care in the ward. They started leading the team by asking a clinical guiding question organized in a PICO (population, intervention, comparison, and outcome) format: “In male medical ward with 56 adult patients, what is the effective nursing care approach that can improve patient care delivery compared to the task oriented approach?” Then they planned on what resources they would need and to review literature to find the best evidence based approach to nursing care that can improve their situation. They checked in the hospital library and found that there were no up to date books and research articles and they asked the in charge and management to support them with computers, internet packages and allow them create time in the afternoon to search literature (Google, Google scholar, PubMed, Hinari) in order to identify the best evidence based nursing care approach. They searched for three days utilizing keywords like nursing approach, methods of nursing care, and strategies for nursing care provision. Fifteen (15) articles were identified and five articles were critically appraised and synthesized. The patient centered approach was identified as an approach that would redress imbalances in nursing care provision in the wards and represented a shift from the task oriented approach that focused on duties not the patient. The goals of patient centered approach were to provide holistic care to address all needs of the patient. Then guidelines, implementation and monitoring plan were developed based on evidence on the patient centered approach and nurses were oriented to the approach. Nurses were encouraged to integrate the evidence with one’s clinical expertise and experiences. On each shift the head nurse of the day assigned a number of patients under the care of each nurse to provide for their holistic needs (physical, psychological, social and spiritual). Implementation of the new the patients centered approach started by the nurses establishing nurse patient working relationships with patients. At each encounter with their patients, nurses established or maintained their nurse- patient relationship, patients’ values were acknowledged and patients were engagement was enhancing their care. Then nurses engaged in assessing, diagnosing, planning, implementing, and evaluating individual patient care. Nurses provided information to patients they need to make decisions and were also supporting them in decision-making processes. This led to identification of patient concerns, preferences and respecting patients’ choices. Nurses advocated for their patients’ choices. There were also collaborative partnerships in care provision with other health workers in order to meet all needs of patients and improve the care provision. The wards-in-charge with support from management monitored the process and evaluated the outcomes. After three months, there was utilization of the patient centered approach in delivery of nursing care in medical ward which lead to; improved nurse-patient relationships; nursecolleague’s interaction which lead to addressing comprehensive needs of the patients; improved nursing and patient outcomes (provision of holistic care, quick recovery, patient satisfaction). In addition patients complain relating to nurses behavior decreased. The results were disseminated to their colleagues through presentation during nurses and hospital meeting, in-service education and journal clubs. Analysis: This is a model case because it fully demonstrates the five attributes of EBP: problem identification; gathering evidence (literature, routine service monitoring and interacting with subordinates); integrating provider experiences; and patient’s preferences and applying the evidence based approach when they were introducing the new approach to nursing care provision. A borderline case contains most of the critical attributes of the concept but not all of them . Mphatso is a principal nursing officer and in charge of surgical ward. During matrons rounds she discovers that there is poor documentation of nursing care which leads to poor continuity of care. Then she conduct ward meeting to discuss with nurses in the wards her findings and how to improve documentation. They discus to adopt electronic documentation because in charge had already gathered, appraised and synthesized research evidence on electronic documentation which shows that it is an effective way to improve documentation. They identified a registered nurse who has necessary expertise and experienced to lead the process of applying what was learned from evidence to ensure good documentation. The electronic documentation software was introduced with support from information technology personnel and management provided computers. Nurses were oriented to the electronic documentation. Management monitored the process and evaluated whether documentation is done properly and has improved. After three months of documenting electronically the process was evaluated and found that documentation was easy, properly done, patient information properly stored which can be reviewed anytime and promoted continuity of care. Analysis: This is borderline case because it is only demonstrating the three attributes of EBP: gathering evidence and integrating provider experiences and applying/introducing the new documentation approach. Analysis: This is a contrary case because it does not contain all attributes of the EBP like gathering evidence; integrating provider experiences; patient’s preferences and applying to improve care provision. A related case has similar defining characteristics to the concept . Agnes is a registered nurse who uses the nursing process to assess, diagnose, plan, and evaluate nursing care provision. Antecedents are proceedings or occurrences before a concept occurs . In this analysis, the antecedents that takes place before EBP occurs and enables EBP to take place are: identifying gap in nursing care practice; availability of evidence and necessary equipment’s (resources: computers, internet Wi-Fi, stationery); presence of nurses with necessary knowledge, skills, and confidence on EBP to be able to access, interpret and utilize evidence; availability of supportive leaders and mentorship [25,31-33]. Availability of these antecedents will enable nurses to effectively continue with the next steps in EBP process: asking a relevant question; gathering, appraising and synthesizing evidence, integrating provider and patients experiences, applying best evidence as well as evaluating the process and performance. If nursing care decisions are based on research evidence, nurses have the capacity to select the best option from a range of choices. This results in nursing practice being likely to be safer, more effective, cost-effective and producing the intended patient [25,34].The consequence of EBP are patients safety, effectiveness, cost-effectiveness, quality care because interventions are based on true evidence. Empirical referents are measurable ways to demonstrate occurrence of a concept . In this case, empirical referents demonstrate how EBP can be measured in practice. EBP can therefore be measured using its attributes through following the key stages of EBP in nursing . The stages include: Asking a relevant clinical question; searching, appraising, synthesizing and selecting the best evidence; integrating practitioner and patients experiences; developing a plan, guidelines and protocols; implementing the plan to apply evidence and evaluating results . This can be demonstrated in reports, minutes and documentation. The merits of EBP in nursing care practice cannot be underscored. EBP has the potential to improve quality of care and produce benefits for patients, nurses and midwives, and the health-care system. For patients, EBP leads to delivery of improved patient-centered care because patient preferences are included in decision-making; this reduces length of stay, increased patient safety and result in better patient outcomes. For nurses, EBP increases job satisfaction, empowerment and improved skills to integrate research evidence and patient preferences into practice. Eventually it supports professional growth and continuous career development through developing expert roles. Health systems benefits include improvements in: decisions making capacity of practitioners; delivery of effective, efficient, quality of care at a reduced cost and health care outcomes . This makes EBP to be highly associated with improved patient and care delivery outcomes. Thus, should be a priority agenda and a driving force for changes in health and nursing care delivery in order to ensure the long awaited benefits of EBP: patient safety, quality, and effective care. Nurses are at the center of delivery of EBP, they are well positioned to move good evidence into practice to optimize patients’ outcomes because they stay with patients 24 hours a day. That’s why this concept analysis was done to achieve a better understanding of the EBP concept among nurses so that they can understand EBP in relation to nursing care delivery and drive them to embark on EBP journey. The analysis has highlighted important issues that can guide the nurses to effectively move towards EBP nursing care delivery. Walker and Avant framework for concept analysis provided an approach which enabled breaking down of the concept into understandable units and understand its attributes. This helped to arrive at a precise definition of EBP. Antecedents are essential elements which nurses should bear in mind prior to planning an EBP intervention while consequences are benefit which acts as a driving force for EBP. Inclusion of a model case “in the analysis illustrated the ideal use of the attributes of EBP and use of borderline and contrary cases highlights areas to be improved or dealt with in order to make the EBP process successful”. Use of empirical referents in the analysis was to demonstrate on how EBP can be measured in practice, and can guide in developing of indicators for observable behavior which can provide highlights to occurrence and nonoccurrence of EBP in nursing practice . In nursing care delivery, things are changing daily, thus, requires changing methods of nursing care provision. EBP offers nurses an opportunity to use research evidence, integrated with their capacity (expertise and experiences) and patient’s preferences to be able to select the best care option from a range of choices. Therefore the analysis of the concept of EBP is a first step toward understanding implementation of EBP. It offers an operation definition for nurses and researchers; and practical application of the concept in nursing practice. However, further studies are needed to try of the process of EBP guided by the identified attribute and reduce the research-practice gap. Stokke K, Olsen NR, Espehaug B, Nortvedt MW (2013) Evidence based practice beliefs and implementation among nurses: A cross-sectional study. BMC Nurs 13: 8. Dalheim A, Harthug S, Nilsen RM, Nortvedt MW (2012) Factors influencing the development of evidence-based practice among nurses: a self-report survey. BMC Health Serv Res 12: 367. Gerrish K, Ashworth P, Lacey A, Bailey J (2008) Developing evidence‐based practice: Experiences of senior and junior clinical nurses. J Adv Nurs 62: 62-73. Wallis L (2012) Barriers to implementing evidence-based practice remain high for US nurses. Am J Nurs 112: 15. Melnyk BM, Gallagher‐Ford L, Thomas BK, Troseth M, Wyngarden K, et al. (2016) A study of chief nurse executives indicates low prioritization of evidence‐based practice and shortcomings in hospital performance metrics across the United States. Worldviews Evid Based Nurs 13: 6-14. Adib‐HM (2009) Evidence‐based practice: Iranian nurses’ perceptions. Worldviews Evid Based Nurs 6: 93-101. Forland F, Rohwer AC, Klatser P, Boer K, Mayanja-Kizza H (2013) Strengthening evidence-based healthcare in Africa. BMJ Evid Based Med 18: 204-206. Hadgu G, Almez S, Tsehay S (2015) Assessment of nurses’ perceptions and barriers on evidence based Practice in Tikur Anbessa Specialized Hospital Addis Ababa Ethiopia. Am J Nurs Sci 4: 73-83. Barako TD, Chege M, Wakasiaka S, Omondi L (2012) Factor’s influencing application of evidence-based practice among nurses. Afr J Midwifery Womens Health 6: 71-77. World Health Organization (2010-2014) Health Information, Research, Evidence and Knowledge. World Health Organization (2010) World health statistics. Mulenga C, Naidoo JR (2017) Nurses' knowledge, attitudes and practices regarding evidence-based practice in the prevention of mother-to-child transmission of HIV programme in Malawi. Curationis 40: 1-8. Hoffmann T, Bennett S, Del Mar C (2013) Evidence-based practice across the health professions-e-book. Elsevier Health Sciences. Walker LO, Avant KC (2005) Strategies for theory construction in nursing. (4th edn), Upper Saddle River NJ: Pearson/Prentice Hall. Matthews PH (2014.) The concise Oxford dictionary of linguistics. Oxford University Press. Bradt DA (2009) Evidence-based decision-making (part 1): Origins and evolution in the health sciences. Prehosp Disaster Med 4: 298-305. University of Canberra library (2018) Evidence-Based Practice in Health. Winona state University(2017). Evidence Based Practice Toolkit. Newhouse RP (2007) Diffusing confusion among evidence-based practice, quality improvement and research. J Nurs Adm 37: 432-435. Hmurovich J (2012) Understanding Evidence: Evidence based decision-making summary President & CEO, Prevent Child Abuse America. Melnyk BM, Gallagher FL, Long LE, Fineout OE (2014) The establishment of evidence‐based practice competencies for practicing registered nurses and advanced practice nurses in real‐world clinical settings: Proficiencies to improve healthcare quality, reliability, patient outcomes, and costs. Worldviews Evid Based Nurs 11: 5-15. Melnyk BM, Fineout OE (2011) Evidence-based practice in nursing & healthcare: A guide to best practice. Lippincott Williams & Wilkins. Forrest JL, Miller SA (2009) Translating evidence-based decision making into practice: EBDM concepts and finding the evidence. J Evid Based Dent Pract 9: 59-72. Stevens K (2013) The impact of evidence-based practice in nursing and the next big ideas. Online J Issues Nurs 18: 1-3. Biesta G (2007) Why “what works” won’t work: Evidence‐based practice and the democratic deficit in educational research. Educational theory 57: 1-22. Majid S, Foo S, Luyt B, Zhang X, Theng YL, et al. (2011) Adopting evidence-based practice in clinical decision making: nurses' perceptions, knowledge, and barriers. J Med Libr Assoc 99: 229. Duke University (2017) Introduction to evidence- based practice: What is evidence-based practice. Chiwaula C. Evidence-based decision making in nursing: A concept analysis. 2018 Jan 08; (1): 1-7. Thompson CJ (2016) What does “clinical expertise” mean in evidence-based practice. Correa-de-Araujo R (2016) Evidence-based practice in the United States: Challenges, progress, and future directions. Health Care Women Int. 37: 2-2. Ellen ME, Léon G, Bouchard G, Lavis JN, Ouimet M, et al. (2013) What supports do health system organizations have in place to facilitate evidence-informed decisionmaking? A qualitative study. Implement Sci 8: 84. Peirson L, Ciliska D, Dobbins M, Mowat D (2012) Building capacity for evidence informed decision making in public health: A case study of organizational change. BMC Public Health 12: 137. Titler MG (2008) The evidence for evidence-based practice implementation. Patient Safety and Quality: An evidence-based handbook for nurses. Rockville (MD): Agency for Healthcare Research and Quality (US). Chapter 7. Nursing Experts: Translating the Evidence: The EBP Process (2017) Guide to evidence based practice and knowledge translation for public health. Oikarainen A, Perälä M, Holopainen A (2017) Facilitating evidence-based practice in nursing and midwifery in the WHO European Region.